DO, DO, DO ! 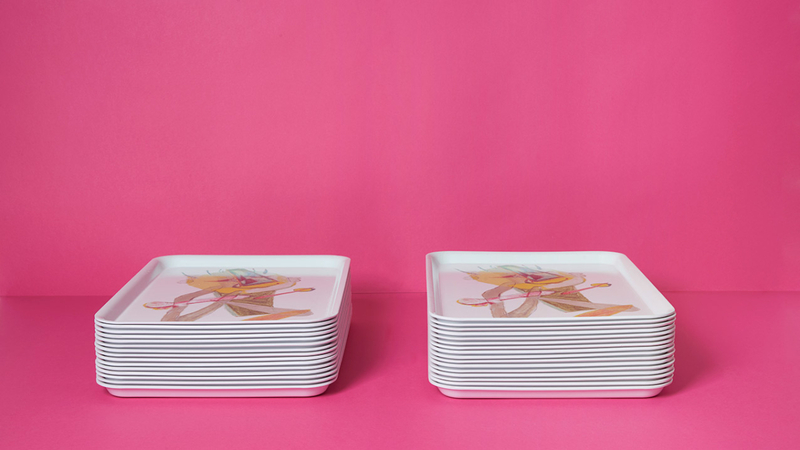 is Sarah Tritz’s simple and joyful injunction. It results from her taste for Paul Klee’s work and his constantly re-imagined forms. It also reflects an attraction for the little men drawn by children. For Sarah Tritz, the best drawings appear after the possibility of letting go, when, after one gets tired of what he tried before the drawing gets done in a few minutes in a state of alternative consciousness. DO, DO, DO ! 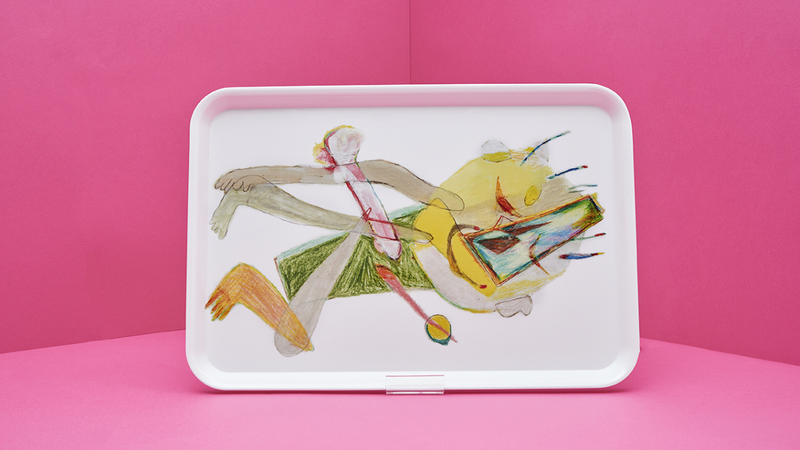 is a melamine tray evoking objects made by children in preschool, the work of Paul Klee or Native Americans Hopi dolls, but also the representation of a secret dance, fuel for work and the joy of forms.